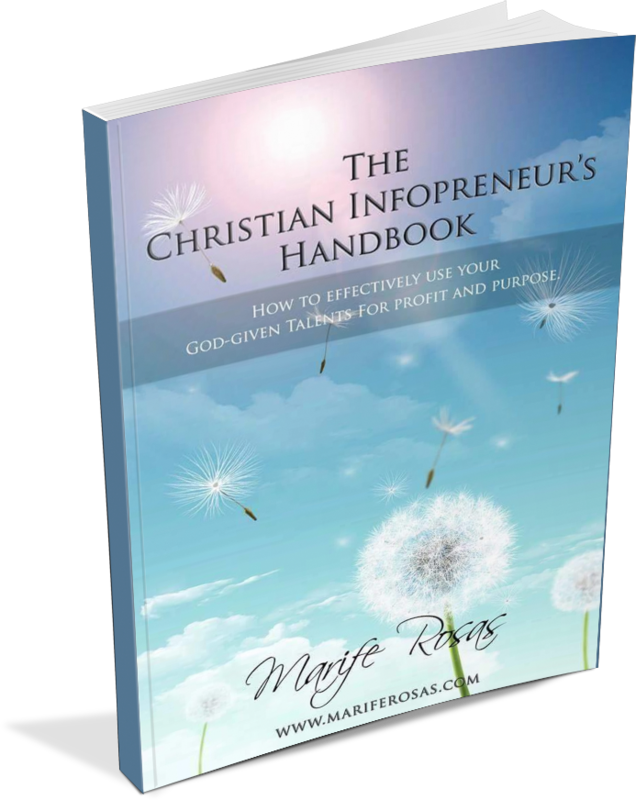 Welcome to episode 003 of the Christian Infopreneurs Academy Podcast. In today’s episode,we’re having Ms. Lhizza Tabay Dela Cruz as our guest. For sure we will get so much value from her. ​If you are a Mom, who is still working abroad but you're dreaming of going back home for good so that you can spend more time with your kids, or you are an aspiring infopreneur (Online Entrepreneur) for sure this will help a lot. She will share her insights on how she used her God-given talents as a Virtual Professional, Author, Blogger, and Infopreneur. She is one of my classmate in Online Community called IBMC (Internet Business Master Class). Who is Lhizza Tabay Dela Cruz ? Currently, she is a Virtual Professional (Work From Home Mom). 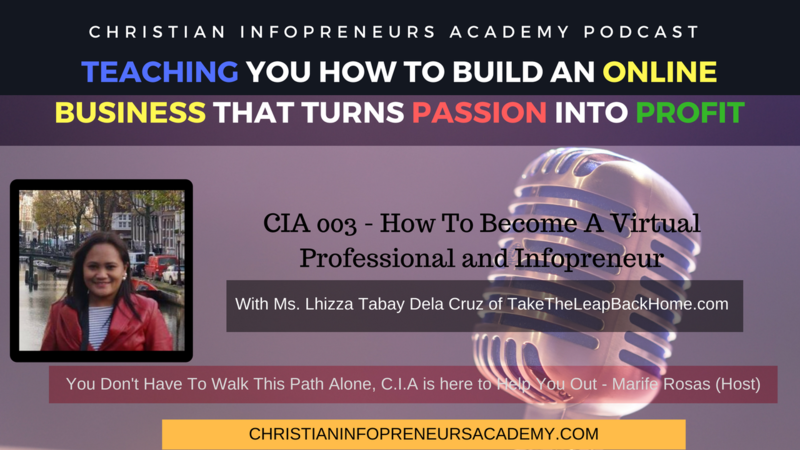 And aside from her career as a Virtual Professional, she also answered the call from God of being an Infopreneur to "introduce the opportunity of being Virtual Professionals to OFW's so that they can go back home and spend more time with their kids. - Learn How to She Discovered her passion and purpose. - What made her decide to share her advocacy for OFW's. - How she manages her time to be a Virtual Professional and Infopreneur at the same time? ​- Best advice for all aspiring Infopreneurs who are currently working Abroad.